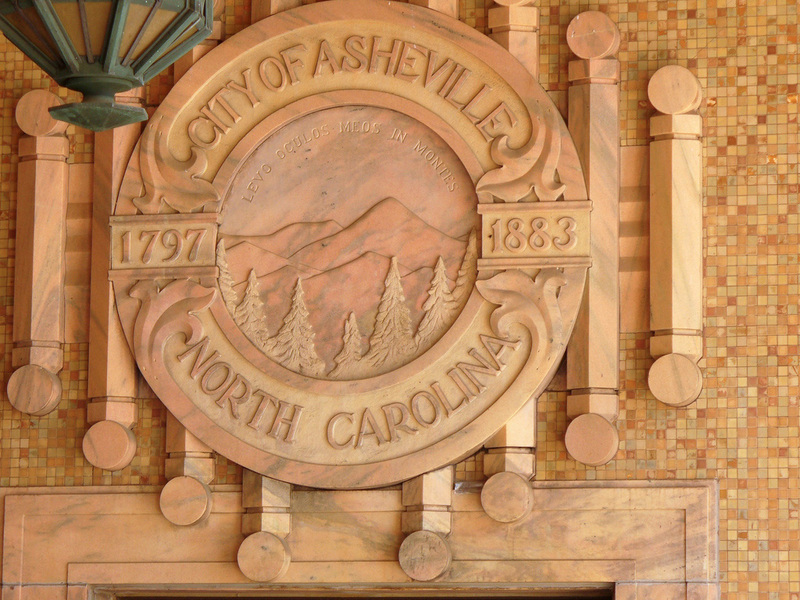 Seal of the City of Asheville; at City Hall in Asheville NC (USA). Photo by Smythe Richbourg /Flickr (Noncommercial Use Permitted with Attribution/No Derivative Works). Once part of the Cherokee Nation, the city of Asheville is located in the Blue Ridge Mountains where the Swannanoa river and the French Broad river converge. Asheville is the county seat of Buncombe County, North Carolina, and home to the world's largest active archive of weather data (the U.S. National Climatic Data Center).